I’ve been very busy trying to cram as much into my few days here as possible. Big day yesterday,,,, practice, weight workout and I met with two long time Cougar supporters. Mike Lockwood of Coogsports.net and Jimmy Haley of the La Marque-Texas City Chamber of Commerce. I learned a lot about the tradition and history of this program. More on that later as I have time. One more practice today before the big G-Ball game. Quick Impressions: 1) Being the first week of school, high school kids will get a little unfocused. No different here, but I have been very impressed with the players ability to quickly switch gears and get to the business of preparing for the game when it becomes time to go to work. The same is true with the coaches, they have had to remind the kids a few times, but the players respond very well to the staff. 2) The two gentlemen I met yesterday both fit into a category of person that doesn’t exist in Reno. Long graduated local alumni who have no direct connection to the school, but nevertheless have continued to support their alma mater and be involved in the happenings there. I imagine all the teams I visit will have individuals like Mr. Lockwood and Mr. Haley and it is a shame that we don’t have people like this back home. Boosters like them provide a foundation that endures through coaches, players and administrators. A respect and understanding of what the program ought to stand for. 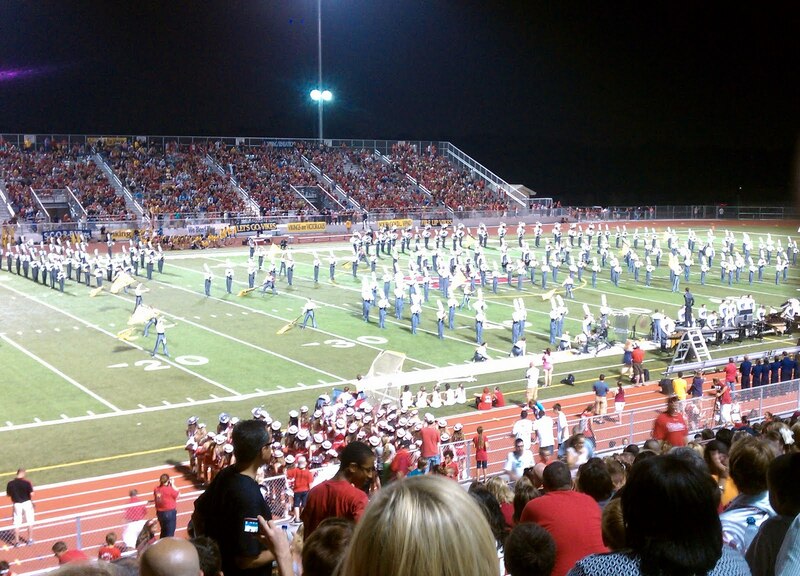 3) I’m really looking forward to my first ever Texas high school football game tomorrow night, its been a long time coming after all the build up and it should be very exciting. Today’s story in the Galveston Daily News. I had the opportunity to see scrimmages yesterday of two of the first three teams I’m following; La Marque and Port Lavaca Calhoun. I am always glad to see, as different as Texas HS football is from the football in Nevada, some things are the same. Scrimmages are sloppy. Too many kids are in their first varsity action. Practice is supposed to prepare you for what you’re going to see in the game, but a coach can’t simulate the speed and intensity of lining up against a stranger wearing a different uniform. The only way to get varsity experience is to get varsity experience and often that means making sloppy mistakes. That said, I think the coaches at both La Marque and Calhoun were generally pleased with what they saw. 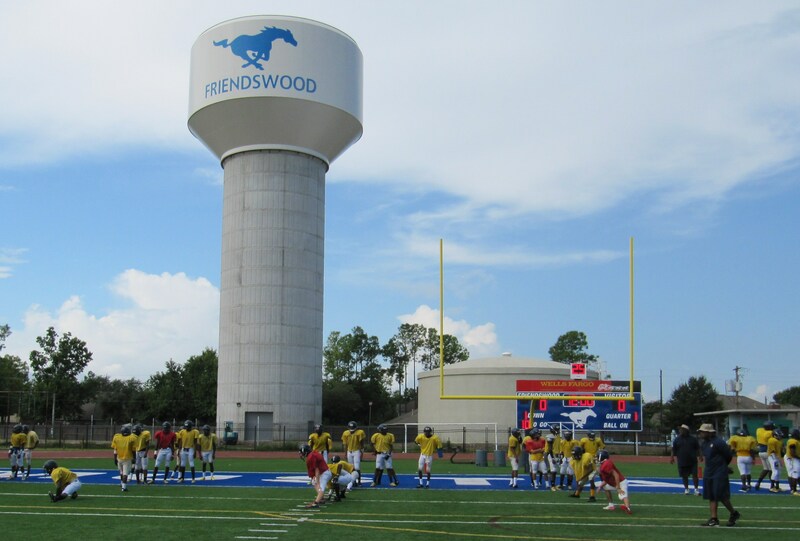 La Marque- La Marque went up I-35 to scrimmage against former district opponent Friendwood. Like PLC, the Cougars came out a little slow, dropping too many balls, missing some blocks and getting off the ball a little slower than they would like. The La Marque offense seemed to catch their rhythm better as in their second go around and during the game quarter simulation. The La Marque defense basically overwhelmed Friendwood, pitching a shutout, picking off numerous passes and sacking the quarterback many times. The coaches were happy overall, especially with the defensive play, but aware they need to fix some things. As good as the defense looked, I’m guessing they would have preferred a little more run game than they saw at Friendwood. Las Marque will play their first three games against much more run focused teams than Friendwood who ran mostly spread sets with four or five split receivers. This morning I went to the scout meetings preparing for the G-Ball game Thursday night. I’ll write more later in the week. After traveling almost every day for the last 2 and a half weeks I’m really looking forward to ‘settling down’ in La Marque for a whole week. I like to drive around and see new things, but it will be nice to stay in the same place for more than two nights in a row. 1) All the programs run well organized practices. 3) All put a lot of focus on the weightroom. 4) Most had pretty good numbers top to bottom, and kids who looked very coachable. 1) Very wide variety of coaching philosophies, on offense, defense and in the way the coaches interact with the kids. 2) Talent level of the kids, some of the programs were much more athletically gifted than others and it didn’t really correlate with the size of the school. 3) Both my 3A schools have amazing athletes, speed and size, while several of the 4-5A’s didn’t. 4) The big separation in big/small schools seems to be between the 2A and 3A. The difference is basically in the number of coaches. 3A and up all have between 10 and 20 coaches working with the varsity, 2A and smaller are in single digits. This results in less platooning and the individual assistants having to be responsible for more. Great coaching in the small schools, but they have to be more creative as the player/coach ratio is much bigger than in the big schools. 5)Facilities- While all the schools have excellent facilities compared to where I’m from, some were much more modest than others. 1) Athletic weakness can be overcome by hard work (weightroom, off-season), a quality and deep coaching staff and numbers. 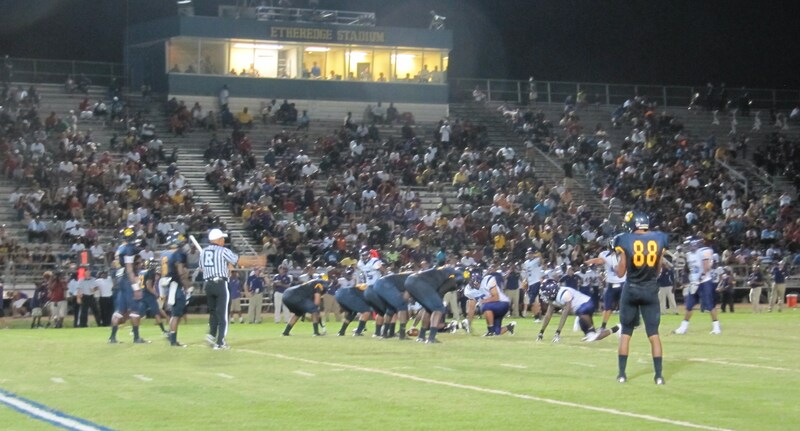 In my mind this is what makes high school football the greatest sport in the world. (# of players x man-hours x smart coaching=wins) In football you truly get what you deserve. If enough people want success enough and are willing to work hard enough to get it, it will happen. 2) There are a lot of ways to get things done in football, but a coach must have a coherent and overarching program philosophy. 3) Facilities: As long as a team has a good weightroom and enough practice fields the other stuff is nice, but teams can get by without them. On another subject, I just realized football starts in Nevada tomorrow. For the Nevadans reading this, good luck to both Wooster and Hug this season. I’ll be checking the scores on the RGJ. I will be heading to Houston tomorrow and will spend zero week with La Marque as they prepare for the Galveston-Ball game. Finally getting back to you with some notes on Sandcrab Nation. Your post earlier today was very good analysis of their approach to the football. Here’s some broader background info. – Sandcrab Stadium is also a throwback. Built in 1956 its has the solid feel of most construction from that era. Newer stadiums have turf, fancy scoreboards, and better PA systems but they all look like scaffolding. They don’t build solid concrete stadiums like ours any more. A time traveler from 1975 would feel at home in a Sandcrab game from 2011. The big difference would be that the current team expects to win games. – Your blog notes downplayed the historic futility of the Calhoun football. The Crabs had a playoff drought lasting 44 years that finally ended in 2006. There were several multiyear stretches where they did not win a single district game. CHS would schedule nondistrict games against smaller 3A schools just to be able to compete. – Calhoun County population more than tripled between 1945 and 1980 (6K to 20K) as four major industrial plants came on line. Since that time though there’s been little growth and the high school numbers have dropped. Class sizes peaked at CHS 30 years ago. Many, perhaps most, of these grads ended up in SA/Austin area. They don’t often make it back to the hometown during the regular season but man do they come out of the woodwork for the playoffs. A good friend of mine has lived in Austin her whole adult life summed it up. “Austin is where I live but Port Lavaca is where I’m from.” Therein lies the key to Sandcrab Nation. 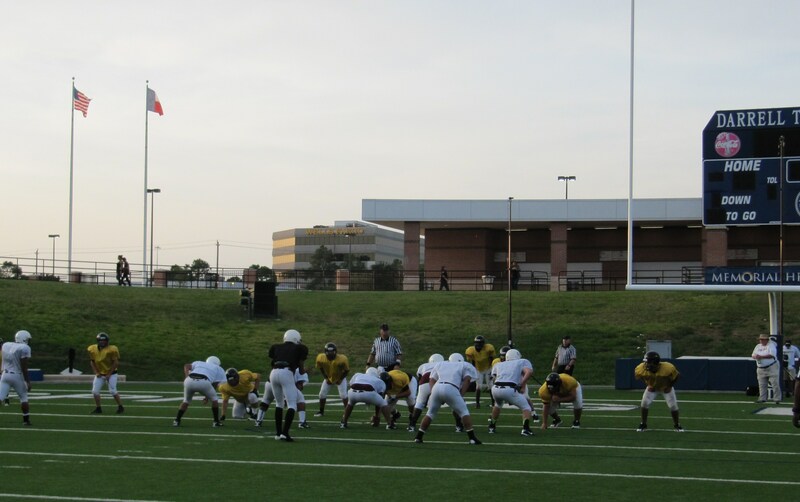 Yesterday I finally made it to the Sandcrab Nation and watched Port Lavaca Calhoun practice. A few posts ago I wrote about how different coaching philosophies can all be successful and Coach Whitaker’s program proves that point. Port Lavaca does some things I haven’t seen at any of the schools I visited, but the system is obviously an outstanding fit for this school and community. The Sandcrabs were down before Coach Whitaker took over in 2005. In his first year, Calhoun finished with a 2-8 record, but since that time they have a record of 58-17 and have made the 4A playoffs 6 straight years. 1) While most of the state has embraced the passing game in a big way, the Sandcrabs rely on a complex option offense where a quarterback rarely throws the ball. In 2011, the quarterback threw for 315 yards while rushing for over 1600. Part of their offensive philosophy is to spread the touches equally between the 4 backs they use on every play. Last season they became the first team in Texas to have 4 1000 yard rushers in a single season. The variety of options and formations they run is very impressive. Their goal is to create situations with formation where a defense can only stop 2 of 3 options the QB has and for the QB to recognize what’s available and exploit it. When they do pass its very effective because the defense is so focused on stopping the run. I had always been a little scared of relying on an option attack because it puts so much of a premium on having a certain type of quarterback and then makes him the target of opposing defenses. I’ve seen good option teams fall apart when the QB got hurt. Coach Whitaker’s system addresses this possible weakness with the second point. 2) They are along among the big schools I’m watching in that all their players work both sides of the ball. The entire coaching staff works one side and the players rotate through both offensive and defensive individual drills. In a perfect situation, only a few players will see action on both sides of the field, but the sandcrabs are prepared if someone goes down. 4 players are prepared to step in at quarterback, 4 at fullback and 6 at the two slot positions. They all get reps every day and play in a system where substitution at every position is routine. 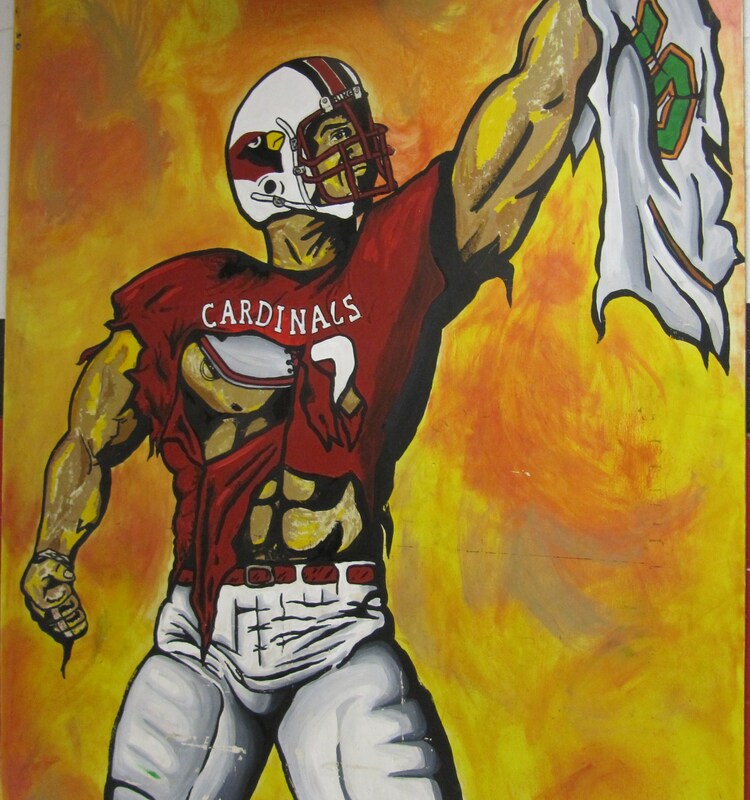 3) Not unique, but very important is the emphasis the Sandcrabs put on the weightroom. 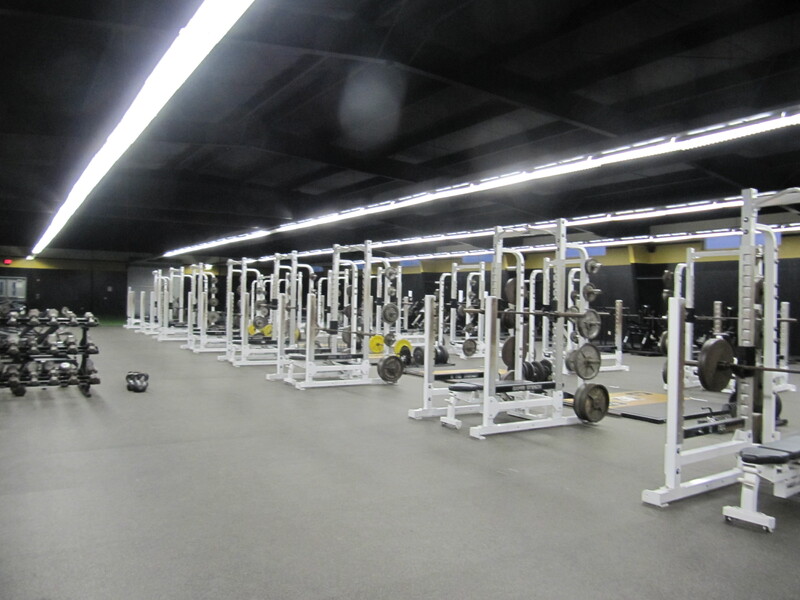 The first thing Coach Whitaker did when he got the job was lobby for a new weightroom and the facility they built is beautiful. The kids at Port Lavaca and not big and while their skill kids do have some speed, they will not win by their natural athleticism. To be successful they need the weightroom. Sub 200 lb. players who squat 400-600 and bench 250-350 seem to be the norm. These are outstanding numbers. Port Lavaca Calhoun is very young, with only one returning offensive starter and 6 on defense. But they’ve built a great tradition and the qualities that got them to the playoffs 6 years in a row (Good coaching, a great work ethic, outstanding community support and a solid system) are still present. I’m very much looking forward to seeing what the town is like when I return for homecoming week. I’ve been told by many that the support in Port Lavaca is amazing. Just got home from practice at Calhoun, very interesting and a lot of fun, but I got into my hotel at 9:00 PM and I’m just too tired to write about it now. I’ll do a complete update of the Sandcrabs tomorrow evening. Over 5000 miles into the road trip and I’m finally down in the Rio Grande Valley to see the Harlingen Cardinals. Harlingen got a lot of attention last season for advancing to the fourth round in the 5A. They earned statewide respect and became the center of Valley pride for their success. The Rio Grande Valley is geographically isolated from the rest of the state and although no valley team has ever won a big school state title, there’s no shortage of interest and support for football in this part of the state. If you watch the local news or read a the Valley Morning Star you see just how important the high school game is here. High school previews were on the front page and led the sportscasts all weekend. You can’t drive down a street in Harlingen without seeing a Cardinal or Hawk on a storefront, a front yard sign or a window decal. Harlingen High School is the most prominent program in the Valley and from the short look I had at them tonight I can see some of the toughness that got them into that position. They mostly did walkthroughs tonight, didn’t do a lot of banging, but you could see they were very businesslike and serious about the upcoming season. Another example of the trend of supporting the lower levels that I’ve seen at all the programs I’ve visited. Harlingen takes it a step further than all the rest. All 16 Harlingen coaches work all three levels. 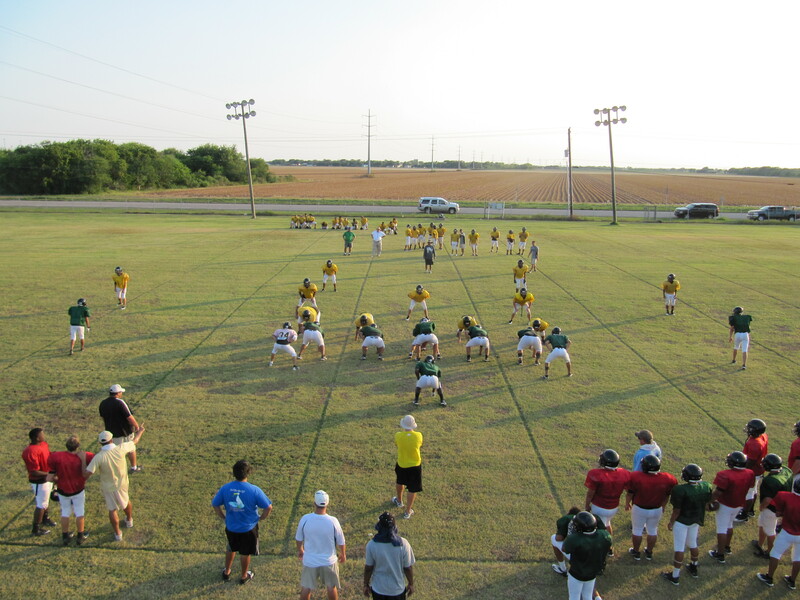 The freshmen squad practices in the morning, allowing all the varsity coaches to work with them. I think the most impressive thing I’ve seen the last three weeks is the quality of the underclassmen in Texas. You can’t go to a JV practice in Nevada without seeing kids who are clearly playing for the first time. In Texas you can barely tell the difference between JV and varsity players. 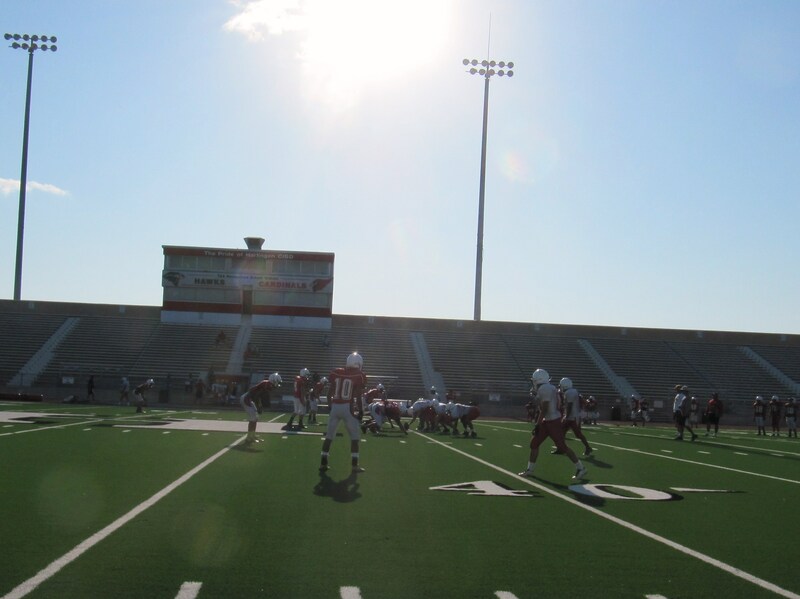 Commitment to providing quality coaching to the freshmen, like they have at Harlingen is a big reason for this. 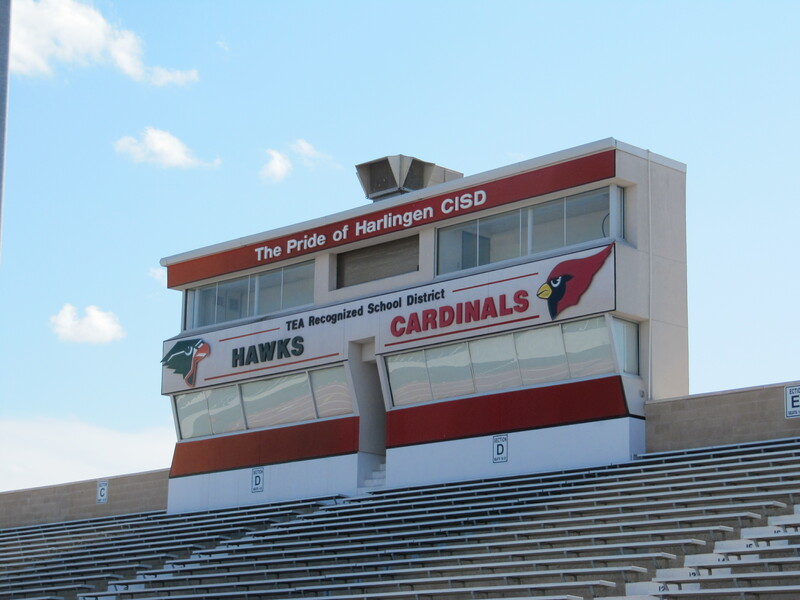 I’ll be back in Harlingen, week ten for the “Bird Bowl” vs. the Harlingen South Hawks. I am on the road to Harlingen tomorrow and will be at their practice on Monday, then on up to Port Lavaca Calhoun on Tuesday or Wednesday. Sorry I took so long Sandcrabs, but I needed to head north first. All my smaller schools are there and they started practicing before the 4 and 5A’s. I’m really looking forward to visiting both schools and towns.